1. Remove the cookies once in 20 days. 2. Press ( Volume key+power key) for 15 to 20 seconds and then release. It will take auto start. Do it once in two months. Do the same and enjoy this unique device. any one compare L730 with BB Z3 in term of connectifity,,,,,back cam n smoothness,,,,??? AnonD-343620, 30 Dec 2014@indhu change your country region to CHINA IN settings .after search moli player in store down... moreThanks so much!!!! AnonD-268976, 05 Jan 2015Dear All I bought L730 on 6th December From EBay @14K. They deliver phone 11th of Dec. Till n... morethat's actually terrible. I've got this same device since last november and no problem ever since. but the best part I like from windows phone is no ads in notification, and no lag even after 120+ apps installed. hope you get a replacement for your device then. it's probably an error occurred in your antenna. have you tried flashing the windows? Please let me know how much did Lagroid(google) pay you to troll against windows phone? Even I want part time job like yours. I m totally agree with this sentence, I am using this handset past 3 months, excellent handset for this price range. selva, 05 Jan 2015hi frnds............. my lumia 730 also awesome....but i face one problem...when i put lock mo... moreI got Nokia Lumia 735,and I got that zooming.I think is normal.My phone works beautifully.I sold my iphone 5s,and bought Lumia 735,very impressed.For the price can beat iphone 100 times.I leave in England,and I like Nokia dual sim version,but here in England,the price is £243,which is a bit expensive to compare in India £150. They providing EBay warranty or guaranty in to this they said replacement or refund within 30 days. they are liar n liar. 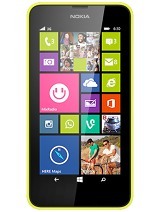 as per talk with technical team they said Nokia is already providing 1 year. so you are not eligible for it. all this things are i never seen on any other this range phone. I have network issue in L730 Both Sim not working properly very pathetic.. Double tap to wake up is not functioning properly. and unfortunately i call someone at this time then i can not end the call neither edit Network+SIM opting because all Network+SIM functions are hidden. so only one option we have on hand to reboot the phone. I did this 20-30 times within 4-5 days. 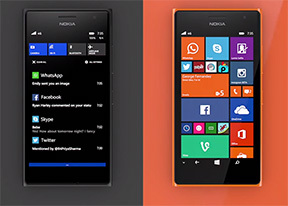 so with my lumia730 i am not using it i am playing with network related issue all the time. so i visited nearest Nokia care they checked my phone and told me to do not use cutted SIM card (Because i have normal SIM on my previous phone so crimped it and using) and after using micro original(not crimped) you have the same problem then. 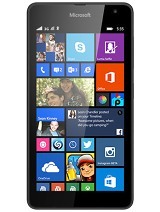 we would take your phone and send it to Nokia Company for repair\Replace. then i bought new micro SIM and the problem was same..
today i submitted my phone to Nokia Care for Replace. Let's see what they provide Repaired lumia or Replace Brand new lumia. atul, 05 Jan 2015i dont knw y people giving fake revew? this ph have nothing to compare. its hangs alot while c... morePlease let me know how much did Lagroid(google) pay you to troll against windows phone? 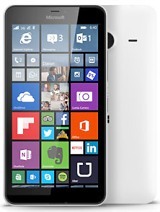 Total of 12970 user reviews and opinions for Nokia Lumia 730 Dual SIM.